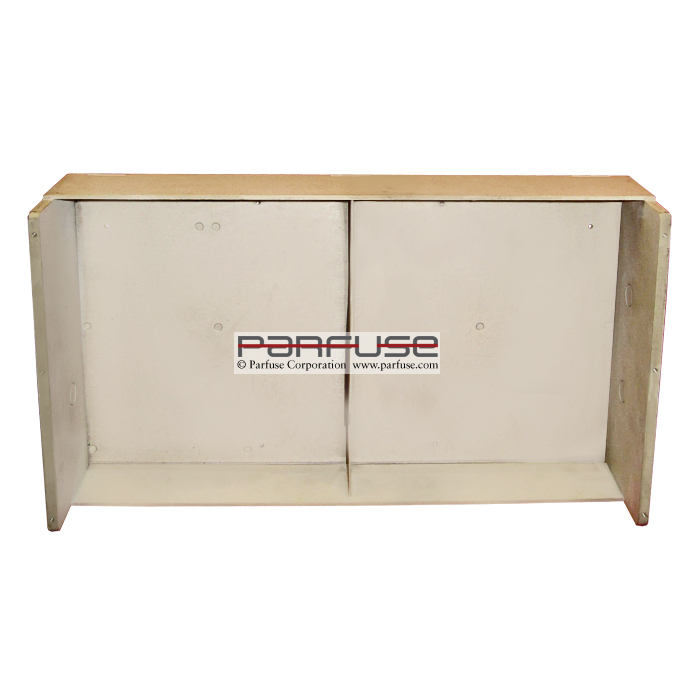 This cabinet is used in the medical field and is dip brazed together. Squarenesses, flatnesses, braze quality (appearance) and braze strength is very critical for this application. 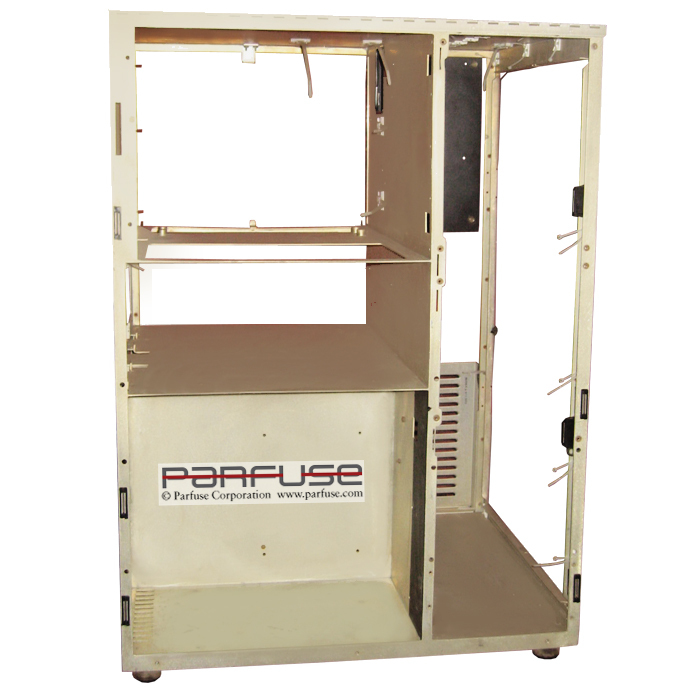 Large shipboard (navy) electronic chassis 28" x 26" x 18" with several compartments and cardguides. Navy contract with several hundreds produced. 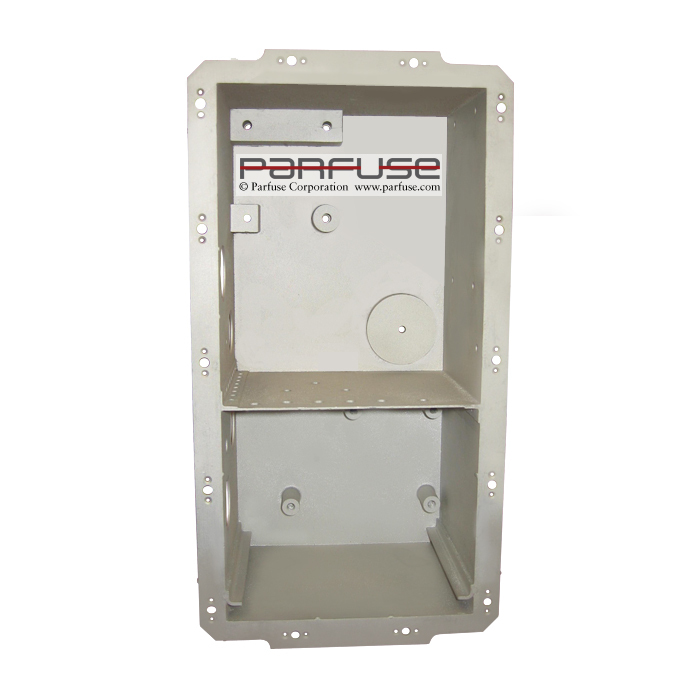 Hermetically sealed enclosure, EMI/RFI sealed box, a typical enclosure with a flat flange to .005 inch. 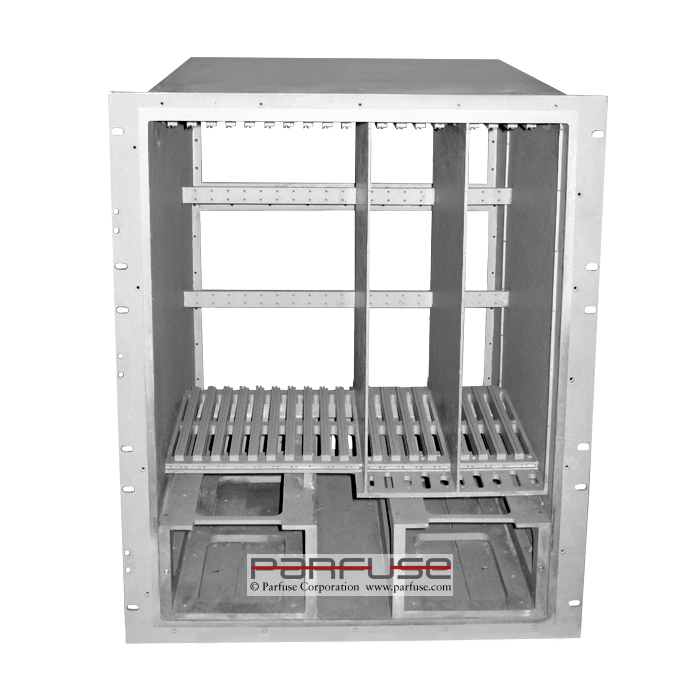 Typical electronic enclosure with thin sheet metal divider dip brazed to several components to achieve a leak tight seal. An electronic chassis with different features for General Dynamics. 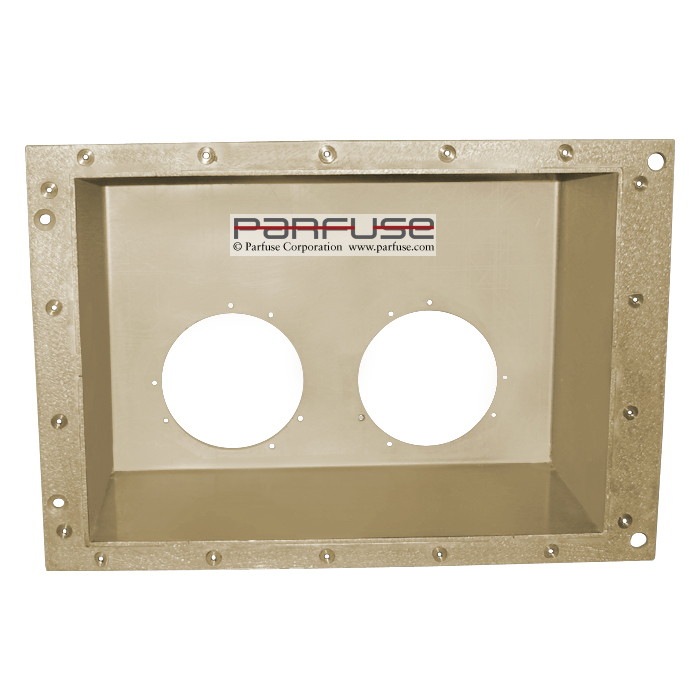 Dip brazed at Parfuse with 100% quality rating. 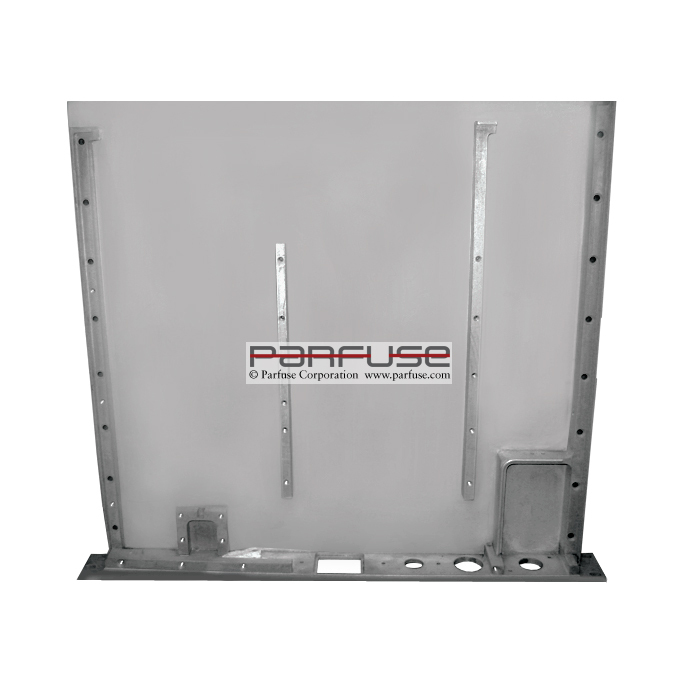 Large electronic cover over 20" x 20", fully machined and flatness held to .010 all around.